Work for Cisco Unified Communications Manager (CallManager)? Cisco Unified Communications offers in my opinion the most professional, scalable and proficient telecommunications exchange with great administrative and user interfaces for any small to enterprise sized organizations. The only issue I have with the administrative consoles are the use of specific java versions (audio reviews, prompt recordings and uploads) that are not necessarily only supported by certain operating systems or browsers which can make it difficult recording from a computer directly instead of through an extension itself. Research all different product versions to explore the difference between each system and its offerings. Our CUCM handles all of your inbound and outbound SIP trunks, records phone calls and connects all of our offices to one system (through IPsec VPN). Partnered with Cisco Unity Connection Cisco has equipped us with a full piic branch exchange and powerful voicemail system with great features like Microsoft Exchange Integrations and message notification alerts to cellular phones. Call Manager is fully featured, flexible IP telephony solution. We deploy it across multiple sites, with publisher and subscriber the system provides full redundancy in the event of a disaster. Phone deployment is quick and easy, and bulk imports make large scale deployment of telephony endpoints quick and painless. The solution can be complex to get started with. The licensing model can get expensive, and upgrades can be complicated without having a sandbox to test with. Get some training prior to implementation. Also consult with another organization to construct a plan and design prior to implementation. Training sessions aren't essential for deployment but for Cisco handsets there are some things users will need to know and it varies by model as far as transfer/forward/address book and call history. Call manager provides full VoIP calling solution for our organization. When coupled with Unity Connection voicemail it is a full enterprise voice solution. This is a full-featured phone system with music on hold, is fully video conferencing capable and easy for users to get started. with. I've been using, and involved in deployments of Cisco Call Manger dating back to 2005. The greatest compliment that I can give the solution is that the platform stability is "rock-solid" and the solution is extremely dependable. Personally, I've never engaged with anyone that has Cisco Call Manager that isn't pleased with the solution. I believe that Cisco is still playing catch-up in a few software areas, and you're required to purchase some additional 3rd party tools to perform basic functions such as detailed call reporting. However, I do feel that Cisco continues to close that software gap, in some areas, between them and their competitors. The biggest challenge is the complexity of the overall management of the platform. Once you're used to it, managing Call Manger is easy, but the learning curve to get there is steeper than other solutions. Personally, I feel that it's the platform of choice, but you need to consider how it will be administered and supported internally within your organization. The initial complexity of the solution can be overwhelming if you're not prepared. Other than the obvious basic dial-tone, we use it for it's soft-phone capabilities, single number reach, instant messaging, call control and flows, and unified messaging. It's a great help to our mobile workforce and users that migrate between our 30+ locations. The ease of Maintaining Phone system once it is installed and configured. Adding and removing users and phones to the system are pretty easy. Also reconfiguring phones are simple. I like the fact that the phones are basically computers and can be moved anywhere on the network and retain all setting and numbers. And now no need to have a telcom contractor come in and repunch the phone jack. The complexity of upgrading the Hardware if expansion is needed. It is not always as easy as just adding memory. When you scope out the servers needed make sure you scope for extra growth within the company. It is a very good and stable product. There is a great deal of options that you can do with the Call Manager Suite. If you have a large IT staff you can dole out roles for each member to be responsible for different aspects of the system. Getting away from a technology that is end of life. Getting a handle on all the City's phone charges. We saved a lot of money by eliminating phone number that we don't use and ones we found haven't been used in years but nobody knew what it was but still were paying for it. Cisco Communication is a great tool that connects you to the rest of your company. It allows you to shoot quick chat messages to people (or groups) allowing you to continue your work while collaborating with co-workers in an instant messaging format. This is great because it means as long as you have a computer with you, you can contact anyone with quick questions (especially helpful in meetings so you have more proactive to-dos). It's also nice because it allows you to integrate it into an excel spreadsheet that has a bunch phone numbers and you can use your computer to make those calls. It really is a great tool to help an enterprise stay connected, but it does take a bit of effort to get everyone to adapt to using it and making sure that everyone logs into it each morning. It does have statuses that you can apply to it so you can prevent people from calling/messaging you or to notify someone when you're away from your desk so they don't waste time going over to your desk to ask a question. It is helping with overall company communication. If I can still get in contact with you while you're on the phone or if I can call you with a click it really helps make sure that productivity stays up. "CUCM currently the best enterprise solution for call routing"
Currently compared to the alternatives Cisco Unified Call Manger is the best option for enterprise call routing. I work in call manager every day, and have had experience with many of the alternatives, including microsoft and avaya's offerings and call manager is by the far the best offering. It has come a long way in the past few years and is relatively easy to administer (albeit maybe not to architect for). I'm hoping it will continue to improve to keep up with an evolving market. It has integration issues most frustratingly with its own platform. This is most obvious currently with integration with UCCX and IM&P. Just to be aware this product is constantly in flux, cisco is constantly updating and upgrading the platform offerings, and you will need to keep ahead of this to make sure that old issues are resolved, even though new iterations create new issues all their own. Enterprise call routing. Benefits are a comprehensive solution for medium to large sized businesses. This is a great product to go with our Cisco phone. It makes programming it easy. It was a little overwhelming at first with so many options from the phone we had in the past. A detailed instruction book on all that your phone is capable of would have been nice, but otherwise, I found many of the features very helpful and am still implementing them. The speed dial feature is nice, but I was unsure of how to use it at first. Have a training session and really learn how to use all the features available with the CallManager. A lot of the tools can be helpful, but if you do not know what you are looking for, you may have some difficulty in harnessing all the resources available to you. I am not really solving any problems, but from the phones our organization had in the past, this is a huge upgrade. I love my Cisco office phone, and can't imagine using another one. "Keeping in touch at work"
The video calling and Jabber desktop app. I don't have to remember colleagues numbers or type in extensions, just search, click and call. With the ability to share my screen and directly transfer files I can work with my manager while he is travelling overseas with almost no interruptions to are communication flow. Integration has had a couple of issues. Lost the Jabber connection for awhile. A few on-screen announces with used phone lines and other irrelevant information being displayed. Be prepared for a slow roll-out. IT took time to convert all staff and to finalise setting up of the system. You may find unique issues depending on your work environment and location. A global company needs to be able to communicate with employees all of the world yet corporate as if they are just in the next room. Cisco has achieved this, with only having to compensate for time differences it is so easy to have group meetings. "Best VoIP Product on the Market"
Cisco Unified Communications Manager is very customizable and feature rich. This product can be used in small or large enterprise installations. Product is extremely technical and requires an administrator with a high level of knowledge in VoIP. Routing and Switching. Make sure you fully understand licensing models and administration needs. Being able to provide seamless communication between all our sites and being able to utilize desk phones and soft phone clients was key. "Cisco Call Manager makes PBX and Voicemail routine"
CallManager lets you change extensions, voicemails, forward extensions, create call routes to groups, send voicemail to email, just about anything your management can dream up you can design in this software. It is not for the novice. You must have an understand of general PBX principles. It would benefit you to take a cisco class. you must get cisco support for this product. it is a wonderful business tool but there is no way you can be an expert unless that is your only function. Rolling calls for the lab, from one department to another. Different forward patterns based on time of day. Voicemail going to email is huge. Extremely stable, feature rich product. Easy to manage multiple endpoints. If uptime is important to you, Cisco UCM is a fantastic. We have to use a third party for the hospitality portion (DuVoice, which works very well). A few competing products have the hospitality functions built in. Built in conference bridge (if you can call it that) is lacking, Cisco pushes WebEx which for our purposes is a bit overkill. There may be less expensive options on the market, but if you are looking for a solid reliable product that will last many years and is backed by Cisco's unmatched warranty/support take a look at Cisco UCM. As the solo administrator of a 200 node Cisco phone network, reliability is crucial. UCM runs on top notch Cisco hardware that I can confidently rely on every day. The overall administrative time to manage this system for our needs is a fraction of what our previous system required, which in turn has saved the company thousands of dollars and me countless hours of administration. I like that the phone is very easy to use. There are few buttons, so it is easy to keep track of where you are at and what you are looking for. I LOVE the fact that my missed messages goes to my email so that I can forward it on to the person that it relates to. It's nice not to have to dial in a password, but have it on my computer to look at. I dislike when I have to call tech support for some things. Most items should be self explanatory or able to find it on the internet. tutorials are great! There should be more internet tutorials on how to solve problems on our own. I usually do not have time to make that phone call to tech support, and I like to know how to fix a problem if it comes up again at a later date. Communication and Meeting time availability. Benefits are great with quick calls, conference calls and LOVE getting messages through email. "Cisco Unified Communications Manager "
I don't dislike much about CUCM, if I had to pick something it would most likely be the upgrade times have become lengthy. Highly recommend CIsco for Unified Communications. There support (TAC) is the best in the industry. CUCM is an interral part of our Unified Communications platform. We have been able to decommission legacy PBX and replace with VoIP resulting in a 2+ million per year annual savings. "Great to have if you telework"
The ability to have your phone with you at any time on your computer and not have a need for a desk phone is huge. We do not have designated work spaces in our office-we primarily telework and when we go to the office we reserve a space that day. Having this product makes it feasible to operate as if we had a traditional office space but allows us much more flexibility. The interface is a bit clunky and can be very slow to load. Be sure you understand all of the features and how the software works before you purchase it. Always compare to alternatives, but you will likely find this product is one of the best currently on the market. We are solving the challenges of working productively in a mobile environment. We have been able to do this with minimal disruption and without any inconvenience to our customers. It is a very friendly solution for global companies. I implemented the cloud based solution after having several CM express servers around the globe and the experience is awesome. Really simple to update, or perform administration activities. If you understand all its components, it is a very useful tool for users who need access to corporate phone while travelling or changing locations very frequently. I had the chance to implement this platform twice always with good results, and pretty simple projects. The only issue I saw during implementations is that calls for each country must be configured from scratch. It would be very useful if CISCO could develop standarized templates according each country to reduce testing phase activities. It is really interesting if you can educate users from scratch in the whole suite. It is not only upgrading a phone, it is more than that. You can gain advantage of booking rooms for video conferencing, or audio conferencing. It is an integrated suite. Users really need to know how it works to make it work properly. The benefits were that every user in the company was able to call anyone, not only to their hardphone but also to their mobile device or softphone. This product allows for communications to be unified between telephone and email using VOIP. No longer do you have to depend on a physical presence to obtain voicemails and now they can be forwarded as an attachment or saved digitally for record keeping purposes. The phone unit has great features such as bluetooth connectivity. There is sometime a bit of lag between the time that a message is left and it appearing in one's email inbox. I find I have to go in and manually get a message sometimes because I can't wait for it to appear in my inbox. The corporate directory on our phone system is a bit cumbersome to use. This allows us to serve our customers more effectively and to guarantee that messages will be received. The amount of time spent recounting messages is reduced because they can simply be passed along. After using the system for long enough the user interface, although overwhelming, works well and you can manage the system efficiently. I dislike how at first the user interface is very confusing. You can get lost in it very easily. Once the system is configured and implemented it works really well. We are solving our communication issues. It is used for inbound, outbound, and internal calling. To manage inbound calls and distribute them to our call center. It also collects data used to create reports on users. "Review of Cisco Unified Communications"
We have been using Cisco Unified Communications for over 10 years now and we have had only maybe a handful of correctable issues with it. It is overall a really good product to use for a corporate or enterprise sized company. Everything is mostly accessed through a web portal which allows you to easily update server settings, run reports, change access, look up help information, and much more. I dislike that there are many servers involved to have the program run correctly. For disaster recovery purposes you have to have two of every server, an A and a B side. If there is a failure, it will automatically go to the opposite side, that part is nice. You must have a license to run anything. Hardware must only be something that Cisco has approved. CUIC seems to offer everything we need all in one solution so yes I would definitely recommend it. Routing of calls via queues and other customizable scripts. We are able to easily route any call and we have even integrated other subsidiaries into our phone system. Being able to switch from phone to digital audio is incredibly easy. Ability to funnel calls and messages very easily. "I use a Cisco phone daily for work. I work full time in an office setting." I like being able to conference in another colleague easily on my phone. I also like the speed dial various buttons that allow me to redial or get to my messages quickly. I really like that our messages go into my email as this makes it easy to retrieve when I'm working remotely. I used this type of phone at my last company also and I'm happy that my current company also uses it. I would like speed dial options on my other available lines, but my company doesn't allow for that. I was able to do that at my last company and it was very helpful with numbers I dial often like the travel agency. I have 6 speed dial buttons and only two are being used currently. This is an easy to use system. Someone can pick-up using the phone with no training. I'm able to have an impromptu meeting with 3 people by using the conference option and dialing in another person. Not having to send out a conference number saves time. I'm able to work remotely and retrieve my voicemail messages from my email. I'm also able to easily pick-up my manager's phone as I have her link visible on my phone screen. "Great product for phone managment"
This allows us to manage a large number of phones. we have a few hundred phones we manage. I enjoy using the the corporate directory feature on the phones. It makes it easy to search for a colleague. I also like that I can sync this system with Cisco Jabber. I do not like that there are several "buttons" needing pressed to go back to the home screen after searching the directory/missed calls/etc. After viewing the information I need, it seems to take just as long to get out of the search and back to the home screen. It is easier to locate someone in the corporate directory. We had to go online to search on our company's website to get information that was not always accurate or up to date. The corporate directory feature is a great tool! First, I have to preface this by saying I am not a systems administrator and have not worked on that side of the house. As such, my experience is on the end-user recipient side of this technology. From that viewpoint, I can say a unified communication system like the one provided by Cisco makes employee's life easier. By integrating the voice features (vmail, missed calls, etc.) with the email and text based systems, Cisco has provided a tool that allows for effective communications in and away from the office. I also appreciate the newer hardware solutions provided by Cisco. From the client side, there is very little I dislike about the communication experiences made possible by CUC. A small complaint, but very small, is the system could be more user friendly with contact integration. We needed a VOIP system that could integrate with existing systems and reduce multiple systems that, when combined, provided the same services that a unified system could provide. In addition to streamlining multiple services into one, we have seen an increase in up time and reliability in our communication systems. "Cisco CUCM Best in Business"
Great product. Interoperability with other applications and products. It seems like you will never be current with this product. Constant updates and patching. Very complicated upgrade process when integrated with Cisco contact center enterprise. Excellent voip product. Allows us mobility, contact center integration and versatility. I am very pleased with the capabilities to quickly and easily connect with colleagues at our various campuses, whether it's searching through the corporate directory on the Cisco hardware (the phone itself), or by way of the online directory. It can be a bit of a laborious process to work through the call menu and back out of it again after finishing your task (ie, looking up someone in the corporate directory). It helps us streamline our communication to be accessible both from the office and remotely. "A reliable office phone system with relatively simple administration"
Very stable phone system for the uptime requirements of general office environment. Occasionally we have needed reboots, but the failover between call managers typically happens within 10 seconds, and calls in progress are not affected. Handsets are extremely durable. Ours are about 6 years old and I would guess that less than 10% have failed. Administration tasks are also relatively easy to perform. Our previous PBX was difficult to maintain and required a lot of outside vendor support. Administration on our Cisco system is nearly 100% in-house. The licensing model is not giving out any freebies. You will pay for everything. You will find many budget minded IP phone systems on the market. So if price is the primary concern this is not the PBX for you. But when compared to the other established PBX manufactures this system was competitively priced. The failover between handsets is perfectly adequate for an office environment, but in a high volume dispatch center the failover time is not always adequate. In our case we have a few dispatchers that have a large number of phone lines. Due to the large number of lines these phones can take a while to failover to failover (in the event of a reboot or PBX failure). To work around this we do our best to schedule reboots and upgrades during hours of low call-volume. All this to say that at least in our configuration this system is not fault tolerant. So if you have individual handsets with extreme uptime requirements be cautious and verify this system will meet those requirements. Cisco isn't the cheapest solution. But it's been very stable and provided exactly what we need. Maintenance has been very minimal. Replace our End-Of-Life existing PBX with a solid and reliable PBX for a reasonable price. The Cisco unified communications system has provided the price and reliability we needed. As an added bonus we have moved all routine administration in-house which has saved money and allowed us to respond more quickly to our user's phone service requests. Easy to maintain; moves, adds and changes are just a couple of mouse clicks. We moved to Call Manager 10 years ago to replace failing pbx. VoIP soled issues we were having with old copper lines in the ground. This phone system platform is very scale-able. It will work for 10 users - thousands of users. The cost is expensive unless you have 40 users or so. The reporting is helpful. It is easy to setup call groups, forwards or other common scenarios that other systems won't do easily. "Excellent software for administering phones." It is easy to add features to phones, such as pickup groups, hunt groups, additional lines. Bulk importing phones is very easy if you are sure to be careful with the CSV file. Software is generally fast. Reordering 'lines' on phones is cumbersome. You have to 'highlight the items that you want moved to the device, and use the on screen arrow keys to move it up or down to the right spot on the phone's display. It should be drag and drop. BLF Speeddials are not configurable through the Communications Manager User portal. I believe that Cisco Commmunications Manager is a great piece of software for use in a VoIP network. It allows the set up and administration of telephony features that can improve staff productivity. It allows EA's to see who is calling their boss, and to pick up on their behalf. It allows staff to be placed in pickup groups and hunt groups. We have realised many benefits. Staff are able to work more effectively and use the phone features to help improve business outcomes. Cisco Unified Communications is an excellent platform for administering VoIP endpoints. The software is user friendly and easily navigated for administration staff and end users. The customization of the feature/devices/lines is robust and allows for practically any configuration. Bulk loading devices and users is also done so with ease. Changes to licensing structure as the software is refreshed makes for a sometimes confusing migration. Price for endpoints, licenses, and support is high. The cost savings of moving to a VoIP system. As well as the feature set that can now be completely managed in house rather than by a third party analog line provider. Makes meeting so much easier to have and less air travel and some much less out of pocket. Connection sometimes takes awhile, and sometimes it sorta times out when making the connection, but I have noticed that it happens less. Cisco is an awesome system and every company should be part of this. If you need to have face to face meeting or even a large group meeting, this is for you. Bussiness wise we are saving alot of money because clients don't have to travel and stay in hotels to host a meeting. CallManager is pretty intuitive to use and easy to teach/train new employees to use. I think it could include more options to help us better manage multiple lines. It seems to have some bugs and kinks that can affect customer service negatively. Have some of staff who manages CallManager for your company and is the point person for all issues. This streamlines everything and makes it so much more efficient. CallManager does help us quickly and efficiently get customers to other departments or employees which can help to cut down on frustration because they don't need to directly call each department they need to contact. "so many uses, great product "
It has several different types of uses and the many functions of the phone/webcam is great. It helps when I need to forward calls to another unit or retrieve phone calls made, received, etc. Using this for meeting phone conferencing works very well and the ease of transferring, parking, or forwarding calls is just right for my job function. Sometimes it is cumbersome to get to the end result when using the call forwarding application or message retrieval. Overall, there is not much I don't like about this product. Ease of use when integrating with another 3rd party application to alert nurse calls from patient rooms. Big time saver! "A good software for keeping touch with the client nai customers "
It is the best software for the communication and meetings. One of the bets in market. It provides the different kind of communication method like voice and video call and meeting in a single click and also toll free number is there. The andorid integration can be better and also the windows software can be better with UI. This is very good software for your every connectivity solution. "The best VoIP communication Tool"
"Cisco Phone & Instant Message"
I like the ease of setup as well as easy maintenance. There is nothing I don't like. I wish there were more background options for the phone screen. I answer multiple credentialing questions and messages about our new credentialing process. I can see and hear my phone messages through my email when I'm at home and that is very beneficial. "Easy to Use at Work"
I love that I can check when other call representatives are on the phone easily. Also the chat feature. Nothing it's great. The only thing is it is a bit slow. We use this to deal with out customers. When using Cisco IP phones you can transfer between apps on your PC and iPhone. If also allows you to have a mobile office. It is a cost saving when traveling oversea and calling back to the US. Read the detail information before buy headset. By having the application on my PC and iPhone, it allow me to have a mobile office. "Simple Interface with simple features"
"Dependable Product and it's very solid"
The importance of solid solution architecture and maintenance can not be overstated enough. It allows the set up and administration of telephony features that can improve staff productivity. Cisco has mentioned the possibility of adding future support for Microsoft's Hyper-V and other hypervisors, but for now you must have VMware. "Hands down the best choice"
Admin interface is intuitive and easy to navigate. System is very reliable and stable. Feature rich. Great sound quality from their current lineup of IP phones. Integrates seamlessly with SingleWire's InformaCast software. The new Self-Service Portal is great for managing your phone while away from the office. The licensing has managed to get even more complicated, though the change was billed as simplifying licensing. Cisco's IP phones are usually more expensive than phones for other IP PBX's. Also, your Cisco account manager will NOT like it if you buy their phones from "grey" markets because they don't get their cut. We have saved a ton of money by going to a SIP trunk. We have a satellite campus in Costa Rica, and we do not pay long distance! We were one of the first businesses in Eastern Washington to go VoIP in 2000, and we have been reaping the benefits and savings ever since. Easy to use for staff and for me to review how my team is doing. This is the only VOIP system I have any experience with. I have been working with it across several versions for 6 years. I like that across versions, the interface stays familiar. It is fairly easy to use. You could take a 2 year class on this product and still not know all there is to know about it. VOIP is a great way to provide feature rich phone service in a high density environment without having to deal with a BPX and a metric ton of copper. I like this system because it is very good at all. There is nothing I dislike because it is already perfect. The hardware wares out pretty easily, sometimes doesn't work for what seems no reason. 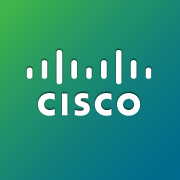 I thibk Cisco is a great communication tool to use in the work place. It has many features and it works great with connecting to other collegues around the world. Very innovative company. The actual phones could be a little more modern rather than having the cords which tangle all the time. Maybe alos have wireless headset that connects to the system. I am getting meetings scheduled, phone calls made, voicemails recorded and retrieved, connecting to the server via my phone and computer, conducting training calls via webinars, and many other things. Learning about Cisco Unified Communications Manager (CallManager)? * We monitor all Cisco Unified Communications Manager (CallManager) reviews to prevent fraudulent reviews and keep review quality high. We do not post reviews by company employees or direct competitors. Validated reviews require the user to submit a screenshot of the product containing their user ID, in order to verify a user is an actual user of the product.